This Double Anise Biscotti makes a great cookie to give away as holiday gifts to friends, family, and coworkers. It's not too sweet and the anise flavor is subtle enough to go with any flavored tea or coffee. Mix together the flour, baking powder, and salt with a wire whisk. Using an electric mixer or stand mixer with a paddle attachment, cream the sugar and butter until light and fluffy. Mix in the anise extract and ground seeds. Gradually add in flour mixture until well combined. Divide dough in half. Shape into logs or any desired shape and place on sheet. Bake until golden brown, about 30 minutes and cool completely, about 25 minutes. Slice logs diagonally. Discard parchment and place log slices cut-side down on the baking sheet. Bake for 12 minutes. Turn and bake for another 8 minutes or until just beginning to color. Serve and enjoy with coffee or tea. 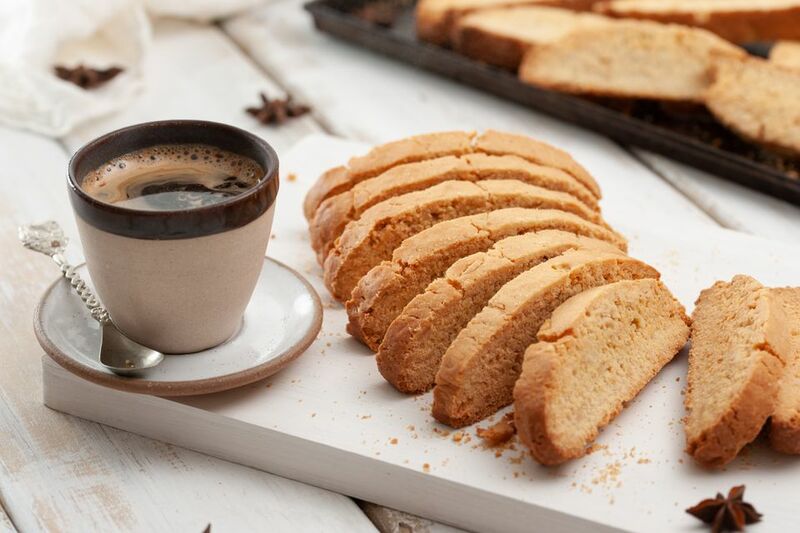 This biscotti can be prepared one week ahead. Store in airtight container at room temperature.